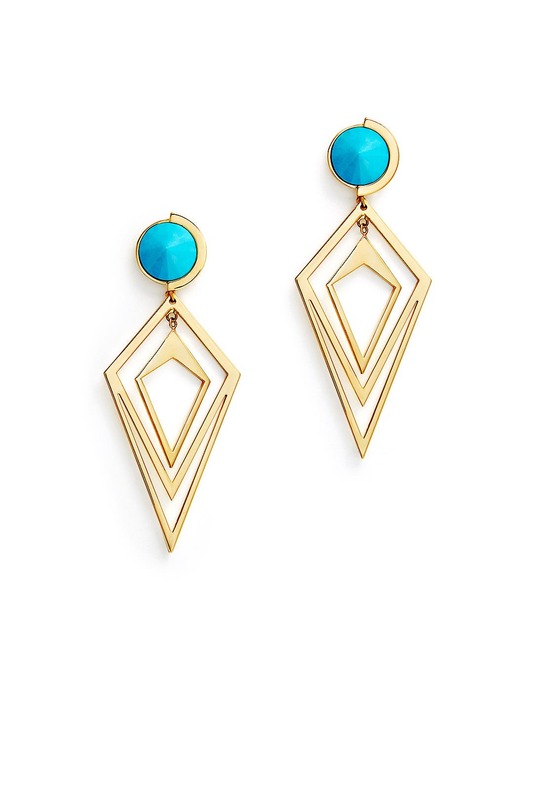 Give your look just a touch of color with these graphic earrings by Sarah Magid. The mix of gold and blue work for both daytime and evening outfits. Gold geometric chandelier earrings with a turquoise top accent. Post backs for pierced ears. 3" long. 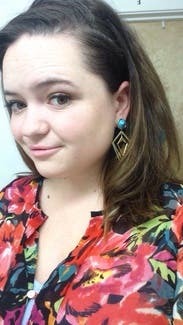 Didn't end up getting to wear these earrings because I went with a different dress but they are absolutely gorgeous! Loved the color and shape. Only minor con was the size and weight of the stud part of the earring. 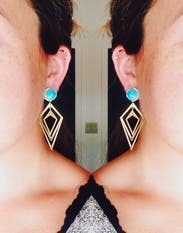 These are a gorgeous pair of statement earrings! 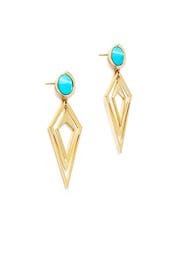 I wore these with the Clover Canyon Liquid Jade Maxi Dress on vacation! 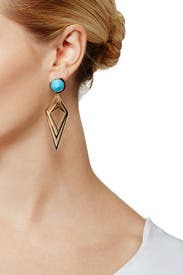 I loved the turquoise color of the stone and the geometric shape! 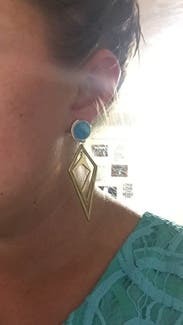 Highly recommend these light weight, simple earrings! These are really cool looking but didn't work for me. Did not wear. Heavy and noisy! Not great for dancing. They're so pretty and the only accessory I wore for the night. They're eye catching and comfortable.